Adam Chase strip #49, originally published May 7 1967. For background on the strip and creator, refer to this post. Only 3 left!! Allan, I hope you have some kind of Friday encore up your sleeve! It ran for two years so we have plenty of installments remaining. Dana is correct that the strip ran for two years in the Eugene Register-Guard. 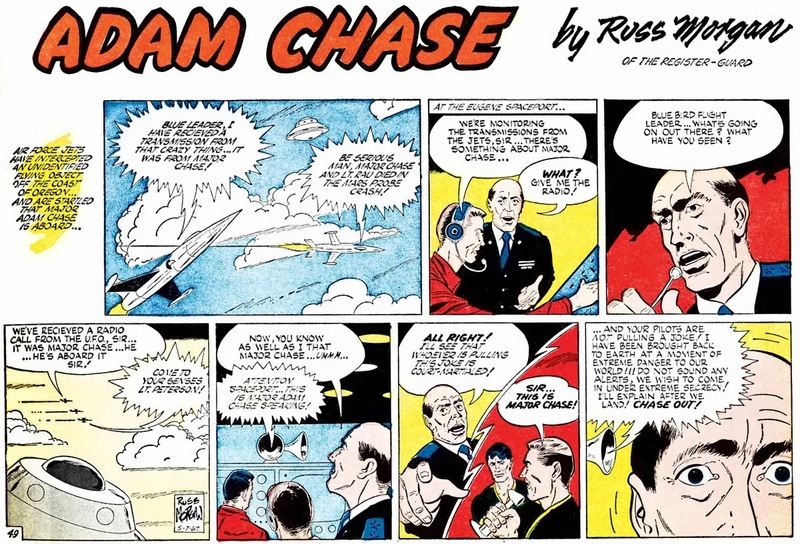 Unfortunately, I just got some bad news from Russ Morgan about continued appearances of his Adam Chase strip. Please see next week's installment for an announcement.